There’s no doubt that American athlete CJ Wilson has already pursued and achieved what many would consider to be a dream career. As professional pitcher he played Major League Baseball for the Texas Rangers from 2005 to 2011, and the Los Angeles Angels from 2012 to 2015. His pitching career was then put on hold with an elbow injury in 2015, and effectively ended by shoulder surgery in 2016. Yet as this new spot for Porsche Racing beautifully illustrates, as one dream ends, there is space for another to grow in its wake. As a long time racing enthusiast, Wilson now has his sights set on a new goal: to race and win as a professional racing driver at 24 Hours of Le Mans, the annual endurance racing event in France. The film shows the research, gruelling workouts, testing, and body conditioning required to get there, mixed with the inspirational and aspirational words of Wilson himself. To support the film’s uplifting message, we placed the music of renowned producer and mixer Greg Townley. With credits across feature films, movie trailers, TV scores and studio sessions with major music artists, Townley is a true veteran. His composition “A Beautiful Combination” is a blend of cinematic ambience and rousing emotion, which helps to aurally raise the stakes of Wilson’s future dream. We predict he’ll get there! 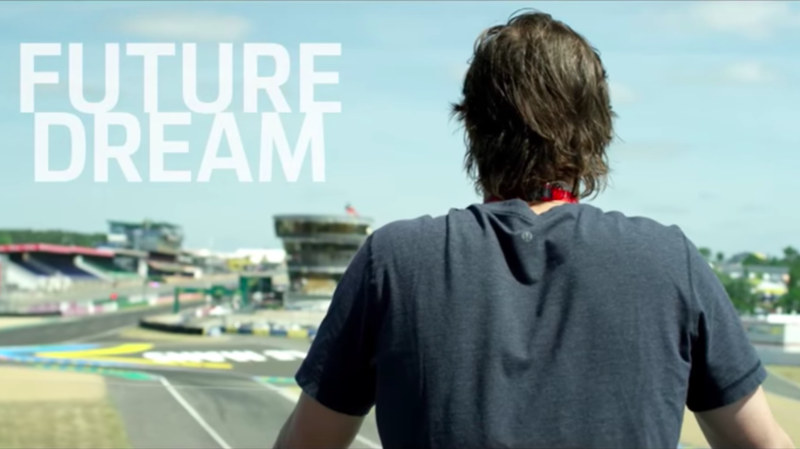 Watch Porsche’s CJ Wilson: Future Dream campaign, below.